Two geometric figures are congruent if they have the exactly the same size and shape. Each of the red figure given below is congruent to other red figures. None of the blue figures is congruent to another blue figure. 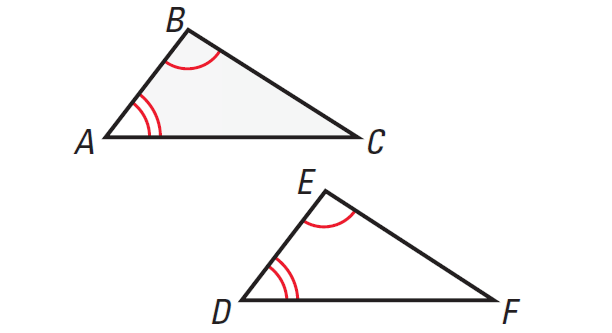 When two figures are congruent, there is a correspondence between their angles and sides such that corresponding angles are congruent and corresponding sides are congruent. For the triangles below, we can write ΔABC ≅ ΔPQR, which is read "Triangle ABC is congruent to Triangle PQR". The notation shows the congruence and the correspondence. 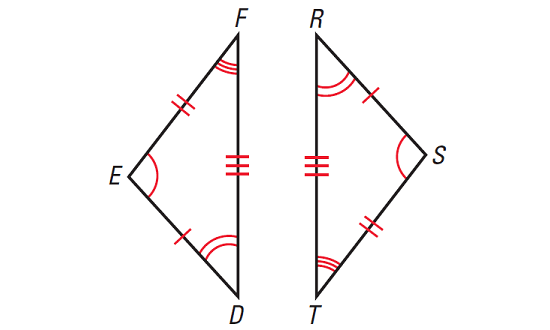 The congruent triangles represent the triangles in the diagram given below. Write a congruence statement. Identify all pairs of congruent corresponding parts. The diagram indicates that ΔDEF ≅ ΔRST. The congruent angles and sides are as follows. In the diagram given below, NPLM ≅ EFGH. (i) Find the value of x. (ii) Find the value of y. We know that LM ≅ GH. Add to 3 to both sides. We know that ∠N ≅ ∠E. Find the value of x in the diagram given below. In the diagram given above, ∠N ≅ ∠R and ∠L ≅ ∠S. From the Third angles theorem, we know that ∠M ≅ ∠T. So, m∠M = m∠T. Subtract 120° from both sides. Substitute 60° for m∠M and (2x + 30)° for m∠M. Subtract 30 from both sides. Decide whether the triangles are congruent. Justify your reasoning. From the diagram, we are given that all three pairs of corresponding sides are congruent. Because ∠P and ∠N have the same measure, ∠P ≅ ∠N. 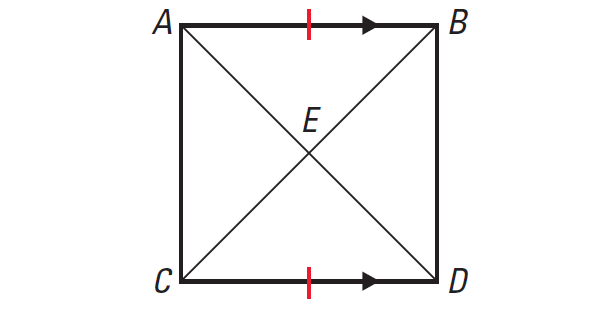 E is the midpoint of BC and AD. After having gone through the stuff given above, we hope that the students would have understood, "Congruence and triangles".